In following our mission statement, Pink SOCS has awarded scholarships to students who are invested in their academic future and have been affected by cancer. Our first scholarship was awarded to Angela DiPetta for $500. We would like to thank the NE Supra Forums and Jonathan M o t o r c a r s / U n d e r c o v e r Performance for their charity car meet, to support the efforts of the Pink SOCS Foundation, which will bring some financial relief to families who have been affected by breast and other forms of cancer. They helped raised over $8,000. The Pink SOCS held a benefit softball game to raise money to be used towards the Avon Walk this year. After a day full of teamwork and home runs the Pink SOCS took home over $1,500 towards cancer research. 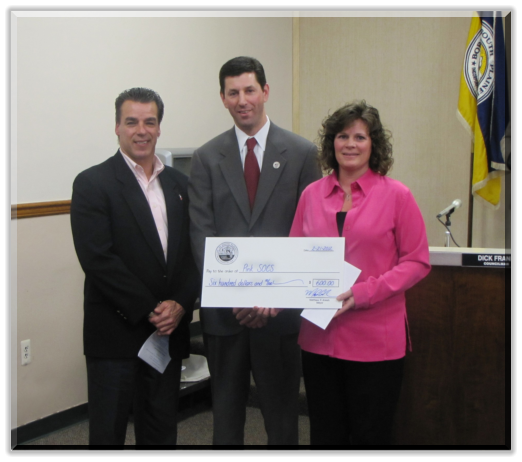 South Plainfield Mayor Matt Anesh presented six checks totaling $4,050 to six local charities. The donations came from the fees he received for performing 27 wedding ceremonies in the borough this year. Donating the fees has become a South Plainfield tradition in the past years. The following charities received checks: South Plainfield Domestic Violence Support Team, Elks Camp Moore, The Brayden Carr Foundation, The Buddy Walk of South Plainfield, The Time2Shine Foundation and The Pink SOCS Foundation. 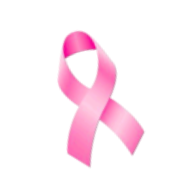 Along with our dedication to cancer research, the Pink SOCS Foundation is dedicated to helping students in need who may be affected by cancer. In our first year, scholarships were given to five different students in high school and middle school in order to further their education. The Pink SOCS have now given over $27,000 in scholarships to graduating seniors who have been affected by cancer.